If your nonprofit is looking to take on a substantial project or construct a new building in the future, you might need to start planning a capital campaign. 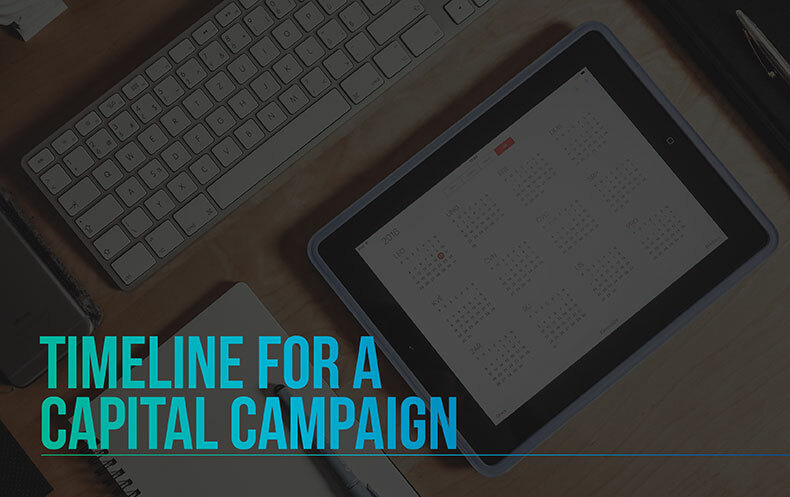 Because capital campaigns can sometimes extend for years, you’ll need to establish a timeline to help you and your team stay on track while you plan and raise money for your nonprofit’s project. Below, you’ll find a general timeline for a capital campaign. Naturally, your capital campaign may have fewer or more steps depending on how much money you’re trying to raise and how much time you have. Use these steps as a beginning template and add or subtract as necessary. And for more information, check out our Breakthrough Guide to Capital Campaigns! Planning for a capital campaign is no small feat. It involves the coordination and cooperation of many different individuals, departments, and committees. We’ve extensively covered the planning of a capital campaign in another article, but we’ll go over the basics now. Assemble a capital campaign planning team. Think of your capital campaign as ship out at sea. A ship can’t get from point A to point B without a crew of people. Each individual has their own part to play and without cohesion, the ship would quickly devolve into mutiny. Your capital campaign can’t steer itself. You need a dedicated crew to help take it from one harbor to the next. Cheesy ship metaphors aside, a capital campaign team or committee relies on a solid base to help lead it to success. Your capital campaign committee can also breakup into smaller subcommittees depending on the size and scope of your project. However you decide to segment your committee, make sure that everyone meets regularly and is on the same page going forward. Set a goal, deadline, and budget for your capital campaign. Capital campaigns are centered around raising a specific amount of money in a certain timeframe. Therefore, before you start raising any money, make sure that you set a reasonable financial goal and deadline. Additionally, you’ll need to set a budget for the various expenses that will occur during the planning and fundraising process. A feasibility study should be completed during the planning process to determine whether or not the capital campaign will actually be successful. A feasibility study can be conducted in-house or can make use of an outside consultant. Either way, it involves the interviewing of 30 to 40 individuals to determine whether or not the capital campaign can raise the needed funds in the allotted time. These interviewees can range from board members to general members of the community. The group should include past major gifts donors as well as other fundraising prospects. Conduct a prospect screening to get started. Capital campaigns rely heavily on major gift donors. In fact, before the campaign is open to the public, up to 70% of the funds should already be received thanks to these major gift donors. In order to determine who you should solicit for donations, you should conduct a prospect screening. Prospect research can help you tailor your asks to various donors and uncover hidden major gift contributors. With prospect research, you have basic information like names and addresses as well as complex data like past giving history and business affiliations. Prospect research can help your capital campaign get off on the right foot! After carefully planning and preparing for your capital campaign, it’s time to put all that hard work into action! Implementing a capital campaign takes place in two phases. We’ll cover each of those stages separately. No, this is not the part of the capital campaign that requires you to whisper all the time. It’s actually more like a soft opening for your fundraising efforts. Let me explain. In order to gain massive public support (and donations!) for your capital campaign, your nonprofit has to show that others have already donated. People won’t donate to a project that they think will fail; the quiet phase of a capital campaign is when you rally your biggest supporters behind you. During this stage, the members of your capital campaign committee will be soliciting major gift donors, corporations, and government agencies for substantial donations. Make sure that each individual is well-versed in proper etiquette for asking for donations. After you’ve received donations and pledges from your various major gift donors and local corporations, it’s time to enter the public phase. The public phase of your capital campaign is when you will solicit a large amount of smaller donations from members of the community. The public phase usually begins with a kickoff ceremony. If your capital campaign is building related, you could host the kickoff at the building site to show attendees what your proposed plan is. The kickoff event doesn’t necessarily have to be a fundraising event, but some people may want to give donations after getting excited about the campaign. Make sure that you have ways for people to donate at your event. The rest of the public phase will require broad outreach tactics to help you reach your financial goal within the deadline. Congratulations! You’ve successfully planned and implemented your capital campaign. You’ve raised the money to pay for a large project or initiative. You can finally rest, right? Not until you follow up with donors! Following up with donors after a capital campaign can take several forms. Let’s take a look at each of them separately. Gertrude Stein once said that, “Silent gratitude isn’t very much to anyone.” She has a point! You should vocally and publicly recognize the people who helped you reach your goal. Saying thanks to your donors will largely depend on the amount of the donation and your relationship with that donor. If you receive a large contribution from a regular supporter, you should publicly and privately thank that individual for their donation. Perhaps this thanks could take place at the kickoff event or at a closing ceremony. Additionally, you’ll need to send out thank you letters, cards, or emails to the rest of your supporters. No gift should go un-thanked. A capital campaign can’t be successful without the generosity of your donors. Finally, you’ll need to show appreciation to your committee members. After months and maybe even years of hard work and planning, they deserve more than a pat on the back. Make sure that you properly thank everyone that had a hand in soliciting major gift donors, corporations, and other individual supporters. People rarely like donating to a cause or project and then ignoring it. It’s your nonprofit’s job to keep donors updated on the project and show them how their contributions have affected your nonprofit. Special events for major gift donors. A ceremony after the project is complete. Phone calls to major gift donors. However you plan on communicating progress, make sure that you thank donors again to emphasize how meaningful their contributions were and how much you appreciate their continued support. And there you have it! You’re all set to plot out the various steps of your capital campaign timeline. 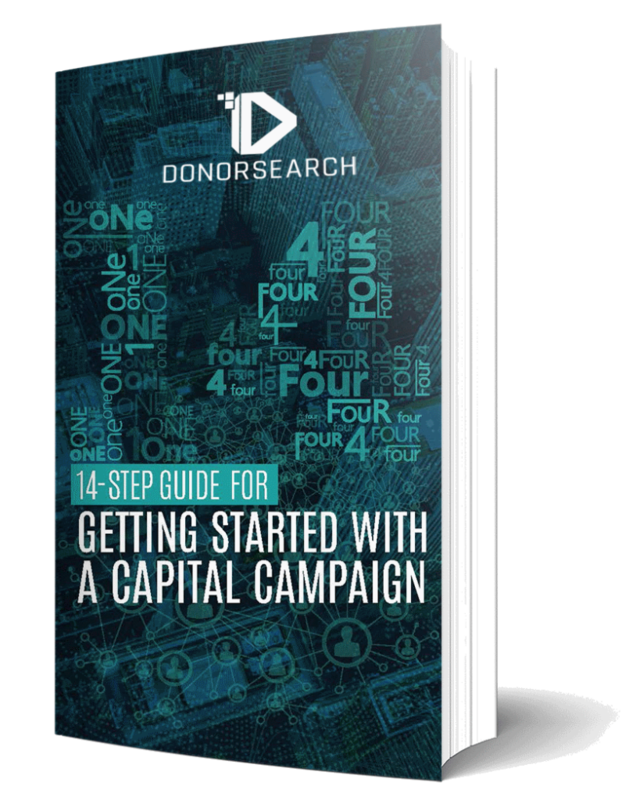 For more information about planning a capital campaign, check out our comprehensive article with 14 in-depth steps.